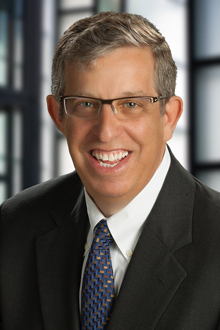 Fort Lauderdale, FL (November 15, 2018) – Fort Lauderdale Partner Howard M. Gitten will act as moderator for a panel event hosted by the MIT Enterprise Forum on December 6 at 7:00 p.m. Mr. Gitten will lead four experts in a discussion titled “How I Funded My Way to The Top,” which will cover the pros and cons of taking on investors and the benefits of “bootstrapping” your business. Mr. Gitten is a member of Lewis Brisbois’ IP & Technology and Data Privacy & Cybersecurity Practices. Combining his experience as General Counsel and Chief Technology Counsel at a cutting-edge technology company with his years of IP private practice experience, Mr. Gitten brings a unique business perspective to legal technology issues. The evening’s panel will include business leaders with experience in start-ups across a variety of industries, from hospitality to robotics to transportation. Read more about the event and register here.